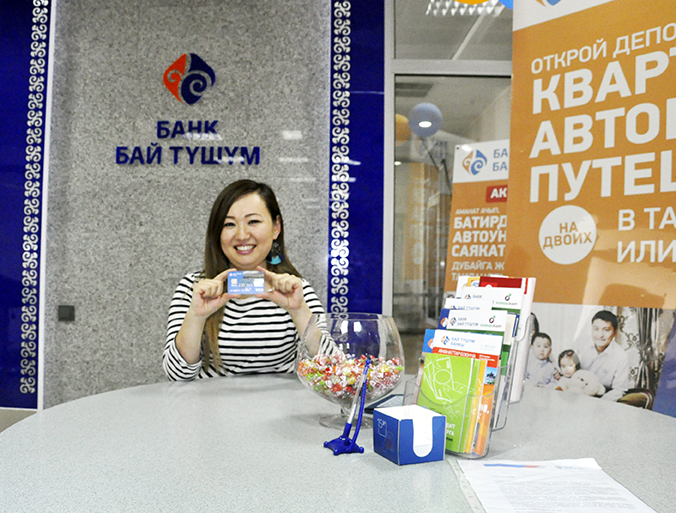 Today Bai-Tushum Bank has awarded the winners of the campaign held among the retail and service outlets that have Bank’s POS-terminals installed. The winners are the organizations that held a maximum number and scope of operations through POS-terminals from July 1 to July 31, 2016. These are U Doma store and Grenki complex. 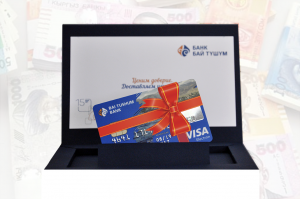 The bank awarded the winners with Visa Prepaid Electron card with the balance of KGS 2,500. The campaign will be conducted until September 30 and we will announce new winners soon. Bai-Tushum Bank offers shops, cafes, restaurants, entertainment facilities, drugstores, beauty shops and other retail and service outlets to conclude agreement for servicing VISA and Elcart payment cards when payments are done for goods and services. BaiTushum Bank offers stores, cafes, restaurants, entertainment facilities, drugstores, beauty shops and other retail and service outlets to conclude agreement for the service of VISA and Elcart payment cards under payments for services and goods. Safety – lower risk of taking counterfeit money, loss or theft of money at retail outlet.